We are pleased to announce that our law firm will be participating as exhibitors at the largest overseas property exhibition in Europe. We will be providing key information on the legal process of purchasing a property in Spain, as well as all related legal & tax matters. 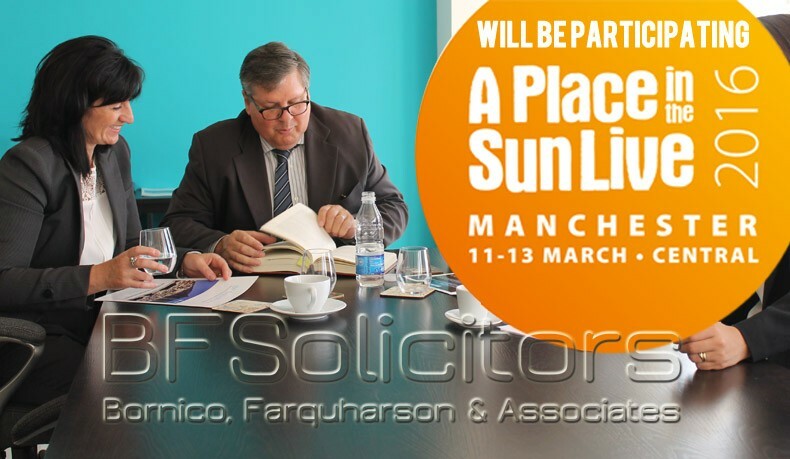 We participate at A Place in the Sun Live as the leading lawyers on the Costa del Sol and on a fully independent basis in order to provide unbiased advice to attendees (unlike other lawyers at the event, we are not invited by developers, sellers or estate agents). In addition to Manchester Central, the exhibit also takes place each year in London Olympia and at the Birmingham NEC. If you would like to free tickets or to come and see us, please contact us via email at info@bfsolicitors.com.